Worldwide, approximately 359,000 adults are members of the Religious Society of Friends. There are fewer than 100,000 of us Quakers in the United States—about a third of the number of Missouri Synod Lutherans in Illinois (where I sang in the choir all through high school). So. 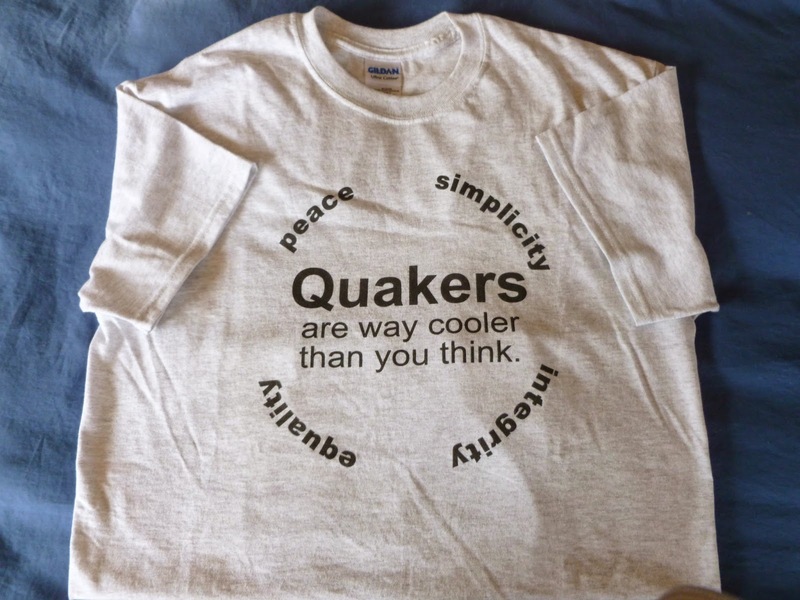 It’s no wonder people don’t know much about Quakerism or what Quakers are like today. The weekly QuakerSpeak videos are trying to correct that with short conversations with contemporary Friends. A recent one features Guilford College professor Max Carter responding to the frequent question: Are Quakers Amish? In less than five minutes, Max clearly describes the major differences between the two religions and in the process tells a lot about what Quakerism is. Friends General Conference answers Frequently Asked Questions About Quakers, too, to help clear up some of the confusion about our small community. t-shirt that a Friend from Seattle recently made. Also WAY COOL, according to a tweet I received this morning, QuakerSpeak videos are now close captioned, an important accessibility #a11y inclusion measure for #deaf people. Sure thing, Gretchen. Love the post card, too!